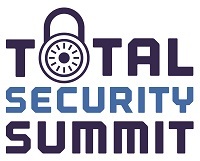 The March Total Security Summit is held at the Radisson Blu Hotel, London Stansted. Only a few minutes’ walk from the airport terminal, this hotel provides a relaxing refuge from the chaos of travel. The bright, thoughtfully-designed rooms include free high-speed WiFi, coffee and tea provisions, and 24 hour room service to ensure a restful stay.